Extraordinary home in the upscale Gulf Vista community located 2 blocks from the beach and between Laguna and Sunnyside. It features a 4BR + 2.5 bath main home and a 1BR +1.5 bath carriage house that can be used as a short or long-term rental. The Sellers spared no expense in the complete renovation of this property, including new ceramic tile plank flooring, granite countertops, new soft close kitchen cabinets, tile backsplash, all new Samsung appliances, and totally remodeled master bath. The living/dining area is HUGE and the 4th bedroom is also oversized with its own entryway, full bath, and can be converted into a ''in-law suite''. The 2 story carriage house with cart garage is being sold fully furnished and even includes the golf cart! Watch virtual tour!. Please click More. 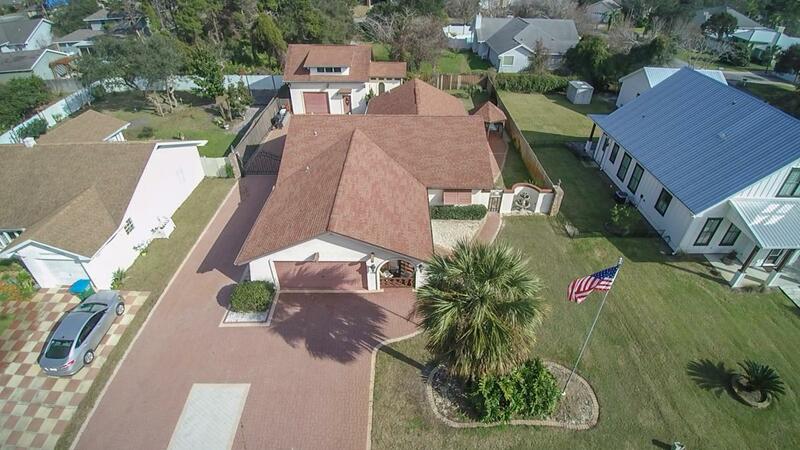 **Watch the Virtual Tour - Link is in Photos** Extraordinary home in the upscale Gulf Vista community located 2 blocks from the beach and between Laguna and Sunnyside. It features a 4BR + 2.5 bath main home and a 1BR +1.5 bath carriage house that can be used as a short or long-term rental. 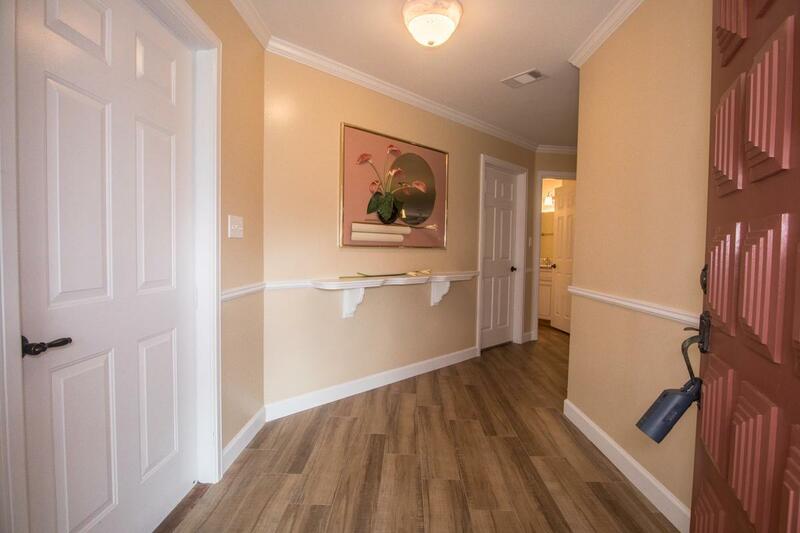 The Sellers spared no expense in the complete renovation of this property, including new ceramic tile plank flooring, granite countertops, new soft close kitchen cabinets, tile backsplash, all new Samsung appliances, and totally remodeled master bath. The living/dining area is HUGE and the 4th bedroom is also oversized with its own entryway, full bath, and can be converted into a "in-law suite". The 2 story carriage house with cart garage is being sold fully furnished and even includes the golf cart! . It features a living room/dining room and full kitchen on the 1st floor and a large bedroom/living room, full bath, and 2 walk-in closets on the 2nd floor. 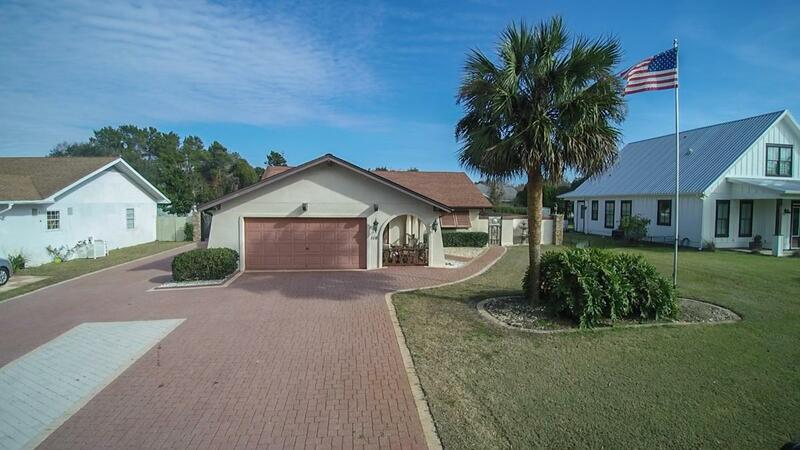 This is one of the largest and nicest homes in this quiet beach community. The landscaping is exceptional with its own well and irrigation system, it has multiple covered and private outdoor areas for relaxing and entertaining, and there is abundant parking and room to park an RV in the back. 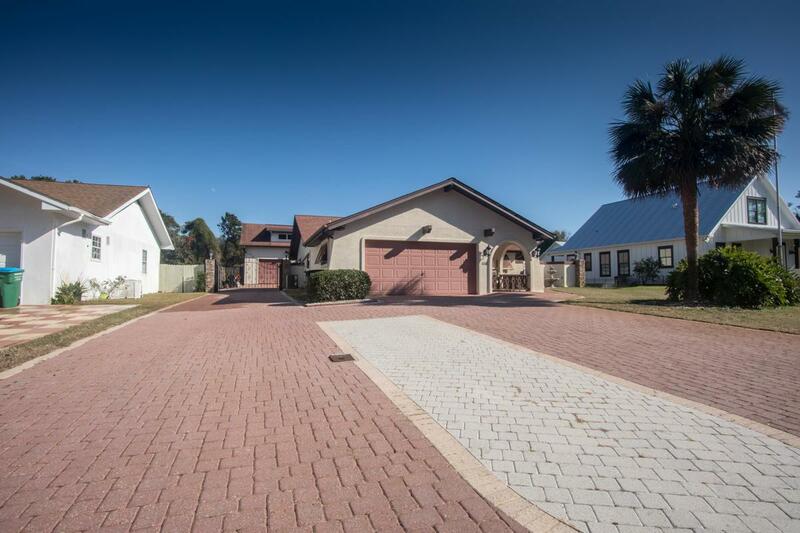 This is a rare opportunity to own a home of this size and quality with a fully furnished carriage house this close to the beautiful Gulf beaches.